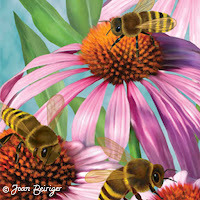 Joan Beiriger's Blog: Art Licensing Editorial: Why some artists are EXTREMELY successful in licensing their art. Big hug! I always love your articles. I always mention your blog when anyone asks where to go to learn about licensing. I recommend you publish an e-book for Amazon. Thank you. Thanks Dee! I wish I have the time to publish Amazon e-books. Because I use a lot of links to articles and websites, the book would be out-of-date VERY soon. I’m finding it impossible to keep updating my previous articles as addresses to websites change or are no longer active. Note: The reason why I use so many links to other sites is that it verifies the information that I share. Also my articles would be even longer than they are if I have to quote information from other articles plus take me longer to write them. Thanks Lisa! 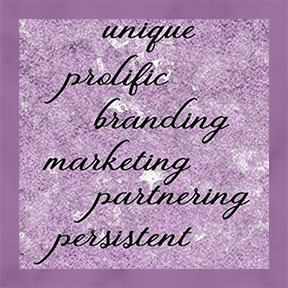 I wish you continued success in licensing your brand. Joan, thank you for your tremendous generosity of time and spirit as you share this excellent information with us all. You’re welcome Deb! I really enjoy sharing the information I discover about the art licensing industry. Unfortunately, I no longer have the time to write articles often since I am very busy with my own art licensing business. Can you give us a salary range that artists usually generate from art licensing? I understand that artists generally receive 4% of sales, but I was listening to a podcast with Justina Blakeney of The Jungalow and she was expaining that even though she has FOURTEEN licensing deals... she has only been able to give herself a salary of $55,000 per year. And she lives in Los Angeles. I was shocked. She is so huge in my industry (home decor), I thought she was making millions! Nope, not even close. I'd love to have more transparency with the net salary licensing is providing for these artists. Thanks! Lauren the questions that you asked is very difficult to answer because it depends on what products, companies and industry that you license your art. Because of all the variables it is impossible to anticipate a set salary range. As Justina stated, royalties for surface design for home decor is 4% but royalties for gift products is around 5-6% when products are sold to independent retailers and 3-4% when licensed to chain stores. Wall art is usually around 10%. Since Justina "gives herself" only $55,000 per year, I suspect her costs to run her licensing business is very high (paying employees, renting a studio, marketing, etc). I have worked as an artist for over 40 years. I created my own career. I found out I could sketch people quickly and started out working children's parties. Then, I found trade shows. For over 20 years I have charged $2,000 per day, plus travel. I am working on a video to tell my story. Congratulations Charles in finding a way to earn a living by creating art! Licensing art is not for everyone.